As The Absa Premiership 2014 / 2015 season reaches an exciting conclusion, the The Team of Choice, Maritzburg United FC play their final game of the Season against Neighbours, Amazulu in a Kwa-zulu Natal Derby that is bound to produce fireworks with what is at stake for both teams. Kick-off is set for 15h00 at the Moses Mabhida Stadium in Durban. This promises to be one of the most exciting Derby Games in recent history as The “Team of Choice” are chasing a 1st ever Top 8 finish, whilst “Usuthu” are fighting for Survival in the Absa Premiership. The Club have arranged buses to ferry supporters to Durban to get behind the Team of Choice as they aim at creating history. Buses will depart Pietermaritzburg at 11h30 on the day of the game day and return after the game. Return Bus tickets are R50 inclusive of a match ticket and there is a limited amount of tickets available. 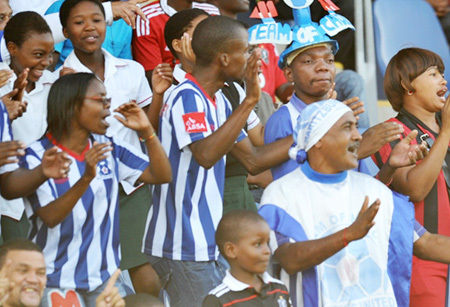 Tickets are available from the Maritzburg United offices at 397 Victoria Road, Pietermaritzburg. For more information contact Hlubi at the Maritzburg United offices on 033-3455666.